A 27-year-old Brooklynite was just trying to get help from the cops when he gave them a call. Instead, the New York City man was the one who was beaten to a pulp by three officers while his young son watched. 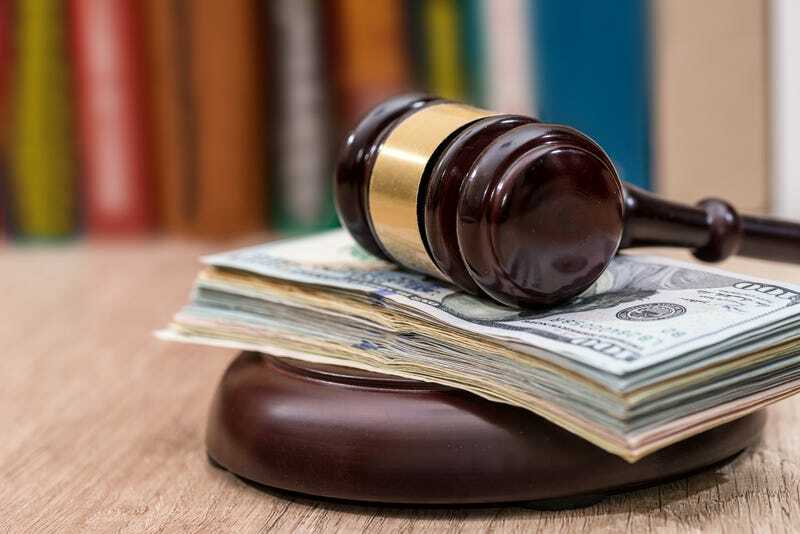 On Friday, following a four-day trial and after five hours of deliberations, a federal jury awarded Thomas Jennings $3 million, a sum that included a whopping $2.5 million in punitive damages. Jennings’ case started back on April 23, 2014, when he picked up his son, Levi, from day care. He headed over to the child’s mother’s apartment so he could get clothes for his son to wear. However, Levi’s mother, Jennings’ estranged girlfriend, lashed out, striking him across the head. And, so, the young man called the police. Once officers arrived, Jennings attempted to explain what had happened and even showed officers court documents detailing his visitation rights. However, the officers appeared to side with the girlfriend, who insisted that Jennings was violating an order of protection. Police Officer Amber LaGrandier dragged Levi from his father’s arms, while another officer, Andrew Yurkiw, began to attack Jennings. “He sucker punched my client, with a tremendous amount of force,” Rameau said. LaGrandier put Levi down inside of the apartment, but the child still saw everything, including his father being beaten up by LaGrandier, Yurkiw and Police Officer Joseph Solomito, according to the attorney. “The other officers joined in and punched and kicked and stomped him,” she said. Jennings passed out as a result of the beating, but he remembers hearing his son screaming and crying for him. Surveillance footage from the incident shows Jennings being dragged out of the building and placed in a police car. Jennings faced charges of criminal contempt and assaulting a police officer (funny how that works ... officers assault you and you get charged). However, those charges were ultimately dismissed, and Jennings filed his lawsuit. During the trial, Rameau noted how infuriating it was that Yurkiw insisted that his knuckles had not been injured by punching Jennings—a claim that was later refuted by medical testimony. Also upsetting was the fact that Yurkiw claimed that he thought Jennings was faking his injuries ... because, you know, people tend to be able to fake a fractured nose and one of their eyes being swollen shut. Despite it all, Jennings says that he holds no ill will toward police officers in general, noting that his now-deceased father, who was also named Levi, retired from the New York City Housing Authority Police Department in 1987. And although Jennings is glad he got some justice, he noted that his son still needs to see a therapist to deal with the trauma of the incident. Rameau, in the meantime, believes that the officers involved should quit. “They have proven themselves unfit for the office they hold,” she said. However, a spokesperson for the city’s Law Department said that while it respects the verdict, it disagrees with the ruling “as a matter of law” and will be considering whether to appeal, the Daily News reports.